DIY Sewing Projects for Mom & Baby! My sister-in-law will have a new baby come November! I thought I would make her a couple of things that she can use and will hopefully like! 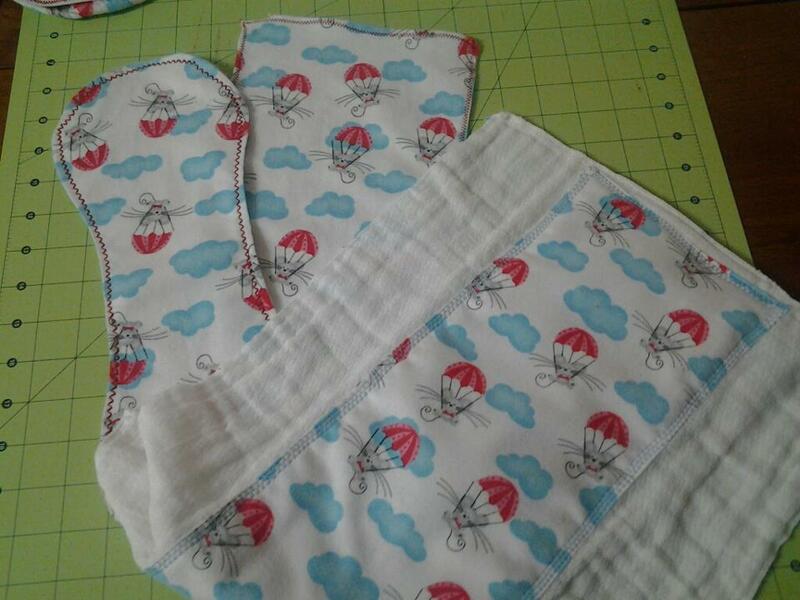 First are two reversible bibs that she can use on her little boy until he no longer wants to wear them :D.
I traced one of my sons bibs to make these two. 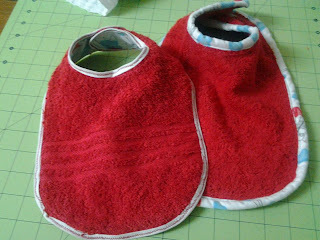 One of the bibs has fleece on one side and terry cloth on the other. 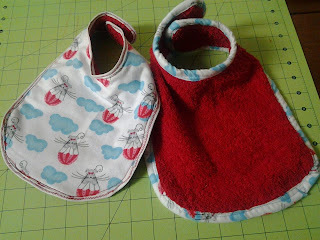 I used white bias tape and a red zig zag pattern. I think the one on the right came out a tad better. That one is terry cloth and I made my own bias tape! They both have velcro on them. (I bought a towel that I cut up for my bibs!). I also made her 3 different burp cloths. One of them has the curves to them. I simply traced one that I had at home and it served well as a pattern. The other is simply a rectangle. The third is one using a cloth diaper. 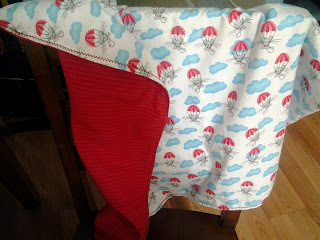 I added some fabric for embellishment. If your baby spits up a lot, these might come in handy! And finally, here is the receiving blanket I made! This one I think is my favorite! 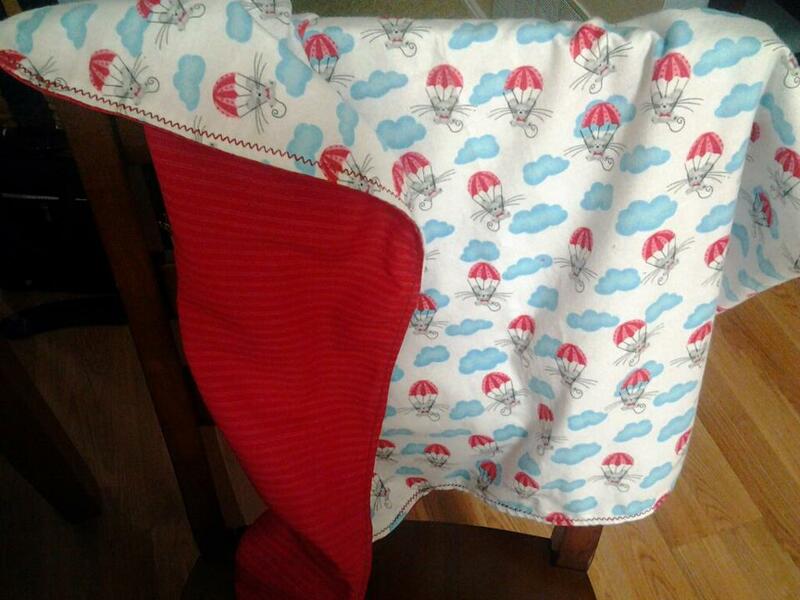 I used one yard of fabric on each side. Please contact me if you need any more details or more specifics! Awesome! Did you put anything in between for the receiving blanket? I'm inspired to get creative! ;) Thanks!